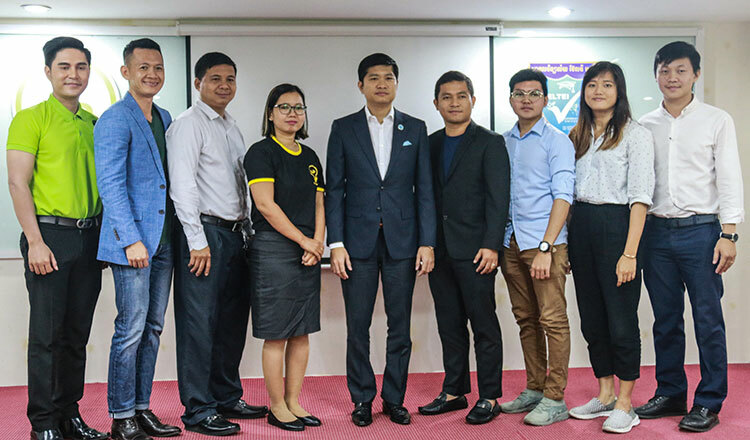 The startup sphere in Cambodia continuously grows over the years, opening great opportunities for people, the youth especially, to show off their talents and entrepreneurial skills in their own ways. With the emergence of countless startups here and there, it is undeniable that Khmers have what it takes to be great in business – creativity, intelligence, inspiration, resourcefulness. However, there are big underlying questions that need to be addressed: how do we keep these qualities going? How do we encourage more youths to join the startup community and earn at an early age? This is how StartupTALK was born. StartupTALK is a seminar initiated by the WeStartUp, a programme started by Emerald Hub to deliver hands-on entrepreneurship education activities to students at college and university campuses. StartupTALK’s main objective is to build entrepreneurial mindset among Cambodian youths as well as to keep the mindset going stronger. “We want to see as many startups as possible because we think our economy can grow faster through these businesses. As we have more businesses in our country, we will no longer depend solely on import and export.” said Sok Mardi, StarupTALK organiser. StartupTALK, held at Beltei International University on August 11, was attended by seven startup enthusiasts and the general manager of Emerald Hub, a co-working and startup office space. Prom Brosethy, owner of Choa Kuay Kobori, expressed that he had failed countless times before he actually found the right kind of business for him. He further said that people should keep their fears aside and start doing a business that they love. He wants people to see every little thing as an open door, as an opportunity to grow and learn. Chum Borey, CEO of Design Luma System, shared his startup journey to the audience. He said startups are all about solving real problems. He added that people should learn how to listen to their instincts and move forward to something that they love doing. He warned, however, that being too fascinated by famous people may end up discouraging youths to even take one step forward to their planned startups. You are different from them, and you can do things differently…even better, he said. For those who love to do business but fear that their budget is not enough to start one, StartupTALK opened a panel discussion entitled “Startup with Low Budget” and asked three established entrepreneurs to share their thoughts on the financial aspects of building a business. “If your startup up is about technology, budget does not really matter. However, if you want to have a tangible product, you will need to be very careful on where to spend your limited money,” explained Nhev Chanpenhpunloeu, founder and managing director of CDev Tec. “If you want to do a startup, you need to learn what is new. Compare the past and the present, people’s demands and likes. And, do not be afraid of failure, do not give up,” Punloeu uttered. “If you have real skills and your business is a service-kind, budget is not a problem. My advice for those who want to have a product-based startup, you have to go through every detail, eliminate the cost as much as possible and spend only on what you really need for the business to grow. Dream big, but start small,” said Tepken Vannkorn, co-founder of CDev Tec. “I think you should ask yourself what is it that do you want to do, what do you want to sell before quitting your job and jump too fast into the startup scene. For me, before doing startup, it is kind of important to have pocket money because I felt like it is too risky to jump right into startup. In my case, when I clearly know what it is that I want, I start to save up for it,” shared Seang Sokcheng, co-founder of Wapatoa. “Do not just follow your heart, trust your brain, too. Before getting involved in a startup, use both your heart and brain. And plan everything out,” Ms Sokcheng added. With the desire to have her own startup and with the acknowledgment of its importance, Kong Khemato, 20, said she learned a lot from the speakers’ experiences and business ideas. “I need more time to figure out what is the problem first. Once I know what the problem is, I will join the startup community.” she said, adding that she will apply all her learning from the StartupTALK to her very own business. Young people gather at the launching of a Khmer website in Phnom Penh.